With summer vacation in full swing, August is prime time for swimming. 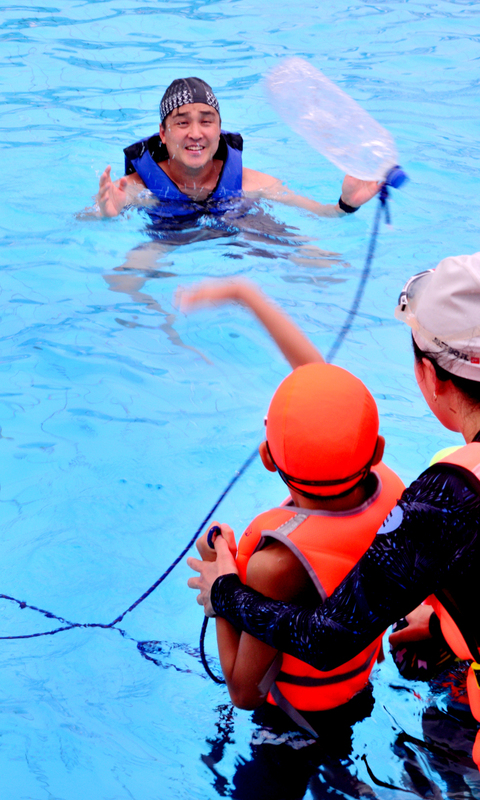 It is also high season for water survival classes for schoolchildren. 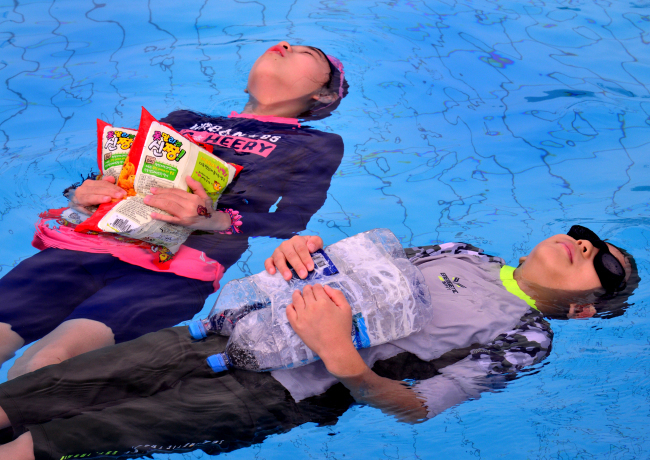 The Seoul Metropolitan Government has teamed up with the Incheon Coast Guard to provide lessons to practice survival floating techniques at Yeouido and Ttukseom Hangang Park swimming pools this summer. Basic techniques taught from these classes can help anyone, including children, stay afloat until someone comes to rescue them, instructors say. Participants learn from simple and easy floating skills such as holding on to a plastic bottle or bag of snacks, as well as ways to stay warm and save energy while waiting for rescue. In South Korea, drowning is one of the major causes for accidental deaths. An average of 600 people drown to death every year, according to government statistics. Water survival classes are led by professional swimming instructors and Coast Guard officials and are conducted twice a day. Anyone above the age of 8 can sign up at the venue in the morning. Up to 60 people can take the class. Classes run until Aug. 26.